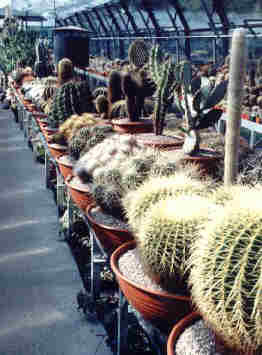 "Croston Cactus" was created in 1970 when we began exhibiting and selling cacti at local horticultural shows. The nursery gradually expanded until we outgrew our Croston location and moved to the present site just outside Eccleston. 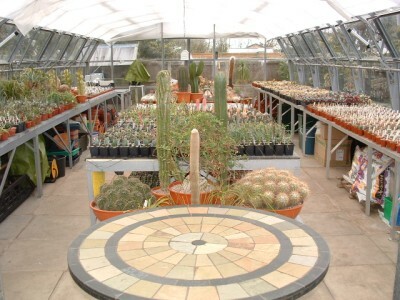 The nursery consists of two "Clearspan" glasshouses, a 1050 sq. 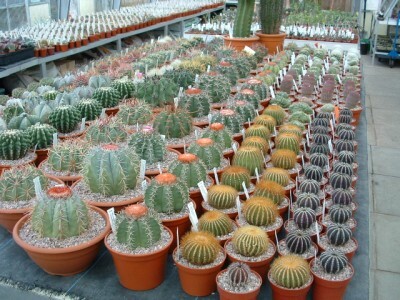 ft display and propagating house, and an 800 sq ft sales house. 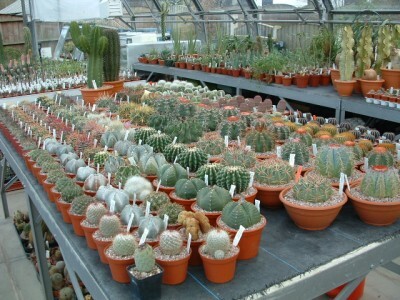 We are based in Lancashire on the A581, just east of the junction with the B5253 to Leyland. 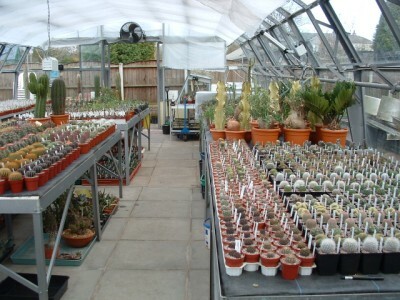 Visitors to the nursery are welcome to browse both glasshouses, but we do ask that you telephone to let us know that you are coming, as during the show season we are frequently away. 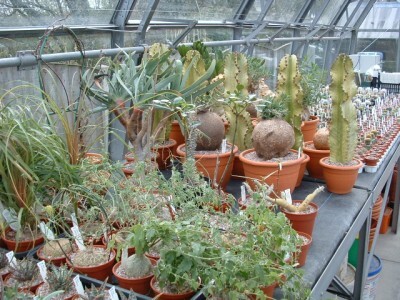 A view in our main glasshouse showing the gold medal winning display plants.